Allysen* & Ava Callery ‎– Callery Christmas Cookie Special! "Love from Allysen & Ava Callery! 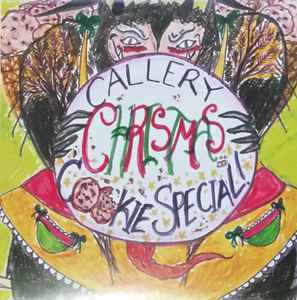 Special thanks to 75 Or Less Records"
Limited edition Christmas holiday EP of 50 copies. Sold at shows with remaining copies available through mail order. Professionally printed sleeves. Plain CDr's decorated with holiday stamps. Track 6 is an unlisted hidden track.